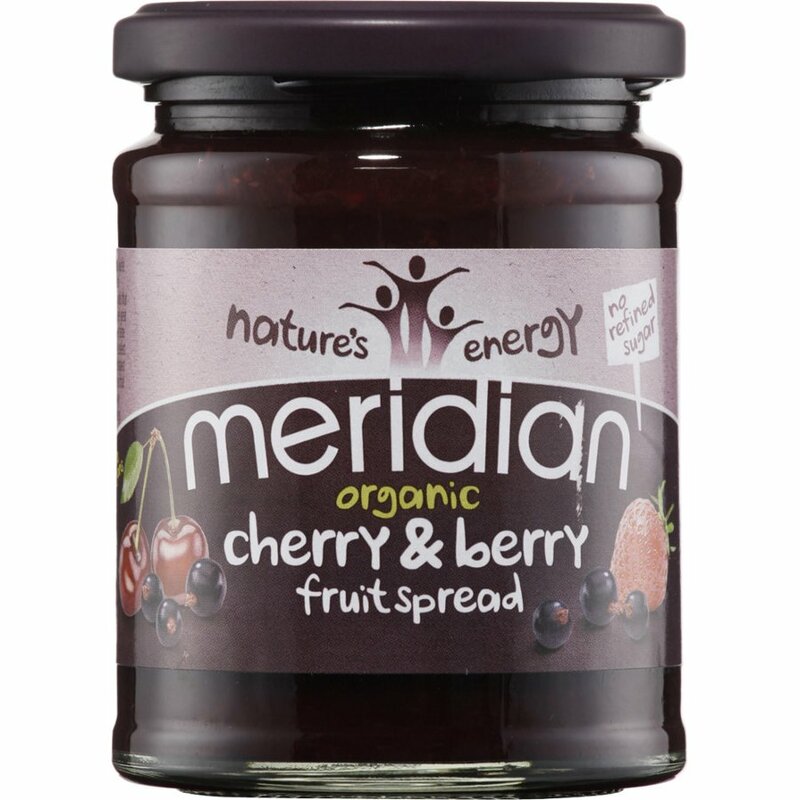 Organic Cherries, Blackcurrants & Strawberries are harvested and graded before being gently cooked in organic apple juice concentrate, to produce this flavoursome lightly set spread from Meridian. Vegetarian and vegan friendly. 284g. 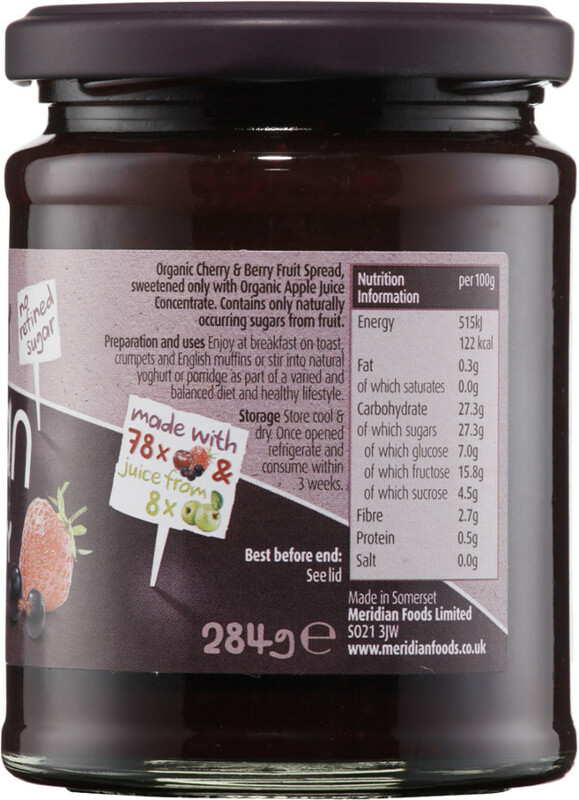 Organic Apple Juice Concentrate (58%), Organic Morello Cherries (15%), Organic Blackcurrants (13%), Organic Strawberries (11%), Gelling Agent (Pectin*), Acidity Regulator (Citric Acid*). 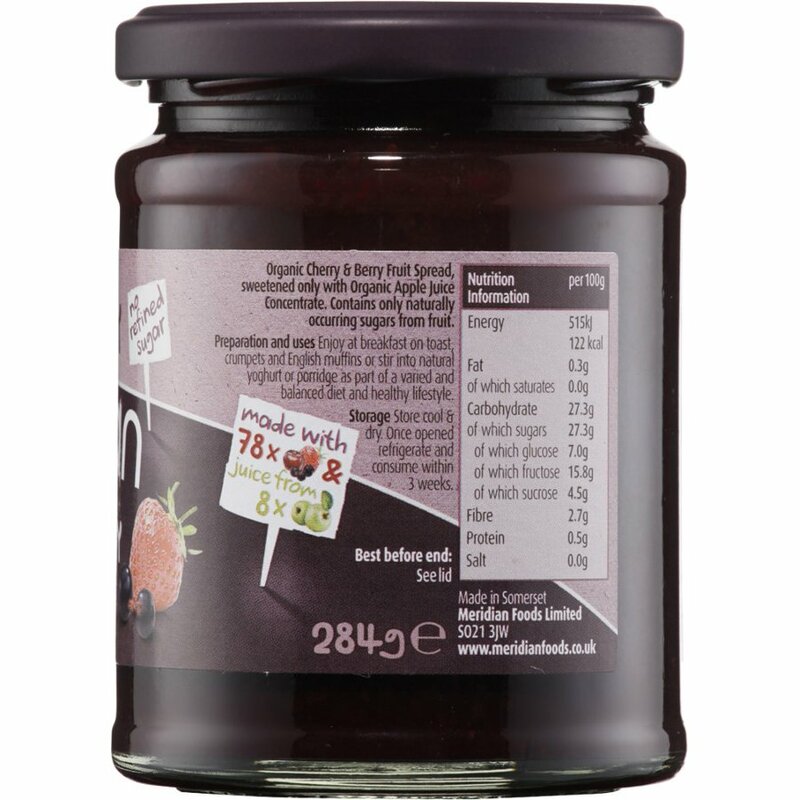 The Meridian Organic Cherries And Berries Fruit Spread 284g product ethics are indicated below. To learn more about these product ethics and to see related products, follow the links below. Not a patch on the straight blackcurrant: this mix didn't really work for me. Makes a good home-made fruit yoghurt. 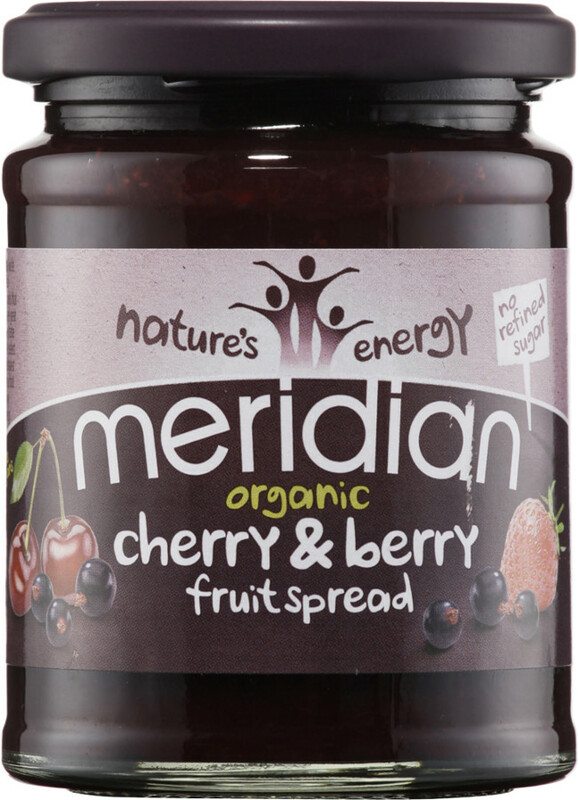 There are currently no questions to display about Meridian Organic Cherries And Berries Fruit Spread 284g.